By default, Google cloud servers have some or all of their ports closed to secure them against external attacks. In some cases, ports needed for specific applications to operate properly are also left open by default. If you need to access your server remotely, you must first open the necessary port(s) using the Google Console. 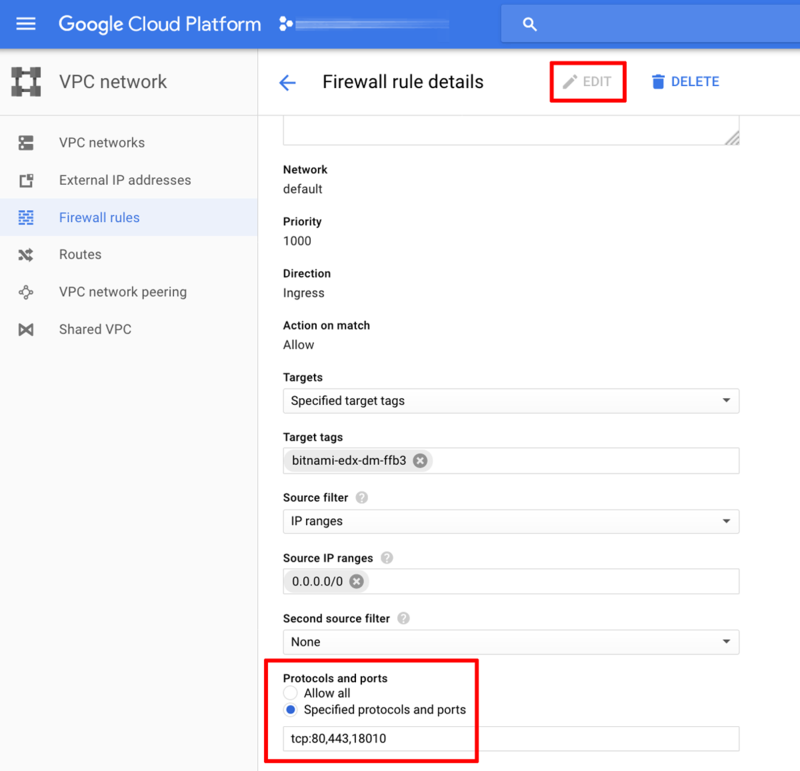 Select the “Networking -> VPC network -> Firewall rules” menu. 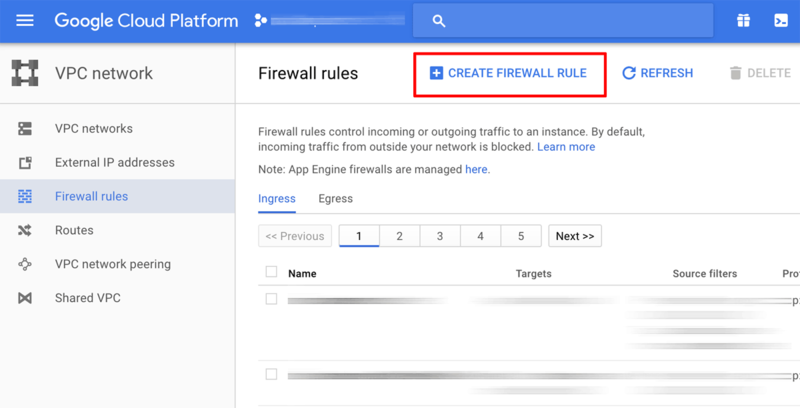 On the resulting page, create a new firewall rule for your network by clicking the “Create firewall rule” button. Source IP ranges: Specify the IP address ranges that can access your application. We recommend that inbound connections be allowed only from known and trusted IP ranges to permit only secure connections to your server. IP addresses outside this range will be denied access. IMPORTANT: Entering 0.0.0.0/0 allows access by anyone on the Internet. This is strongly discouraged and may result in unknown parties gaining access to your application and data. Click “Create” to save the firewall rule. The new firewall rule will come into effect immediately. Find the firewall rule(s) for the port(s) you wish to close. Select each rule and click the “Edit” button at the top of the page. Remove the ports you wish to close from the “Allowed protocols and ports” list. The change will come into effect immediately.